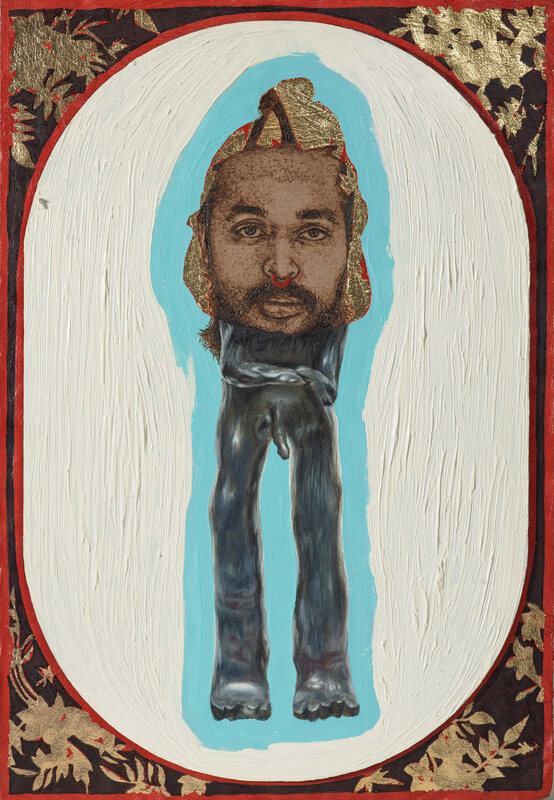 Marikit Santiago’s subject Ramesh Mario Nithiyendran is a Sri Lankan–born, Sydney-based contemporary artist. He was awarded the prestigious Sidney Myer Fund Australian Ceramic Award in 2015 and was represented in the 2016 Adelaide Biennial of Australian Art. ‘I met Ramesh in our Honours year at UNSW Art & Design (formerly the College of Fine Arts). Working together in the studios, often discussing our work, we became good friends. He is now enjoying success as an established ceramic artist,’ says Santiago. Born in Melbourne in 1985, Santiago is currently undertaking a Master of Fine Arts at UNSW Art & Design. She also has a Bachelor of Medical Science, completed before pursuing an art practice in earnest. She has exhibited in group shows since 2008 and had her first solo show in Sydney last year. This is her first time in the Archibald Prize.